The new and emerging ADC technologies together with the field’s cumulative experience provide new opportunities for ADCs and make them a more promising therapeutic modality than ever before. Despite a rapidly evolving clinical landscape in oncology, there is substantial unmet clinical need that could be addressed by next-generation ADCs. ADCs are also being explored to combat other diseases. 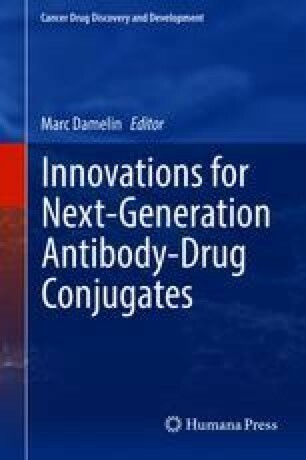 This introductory chapter provides context for the key innovations of next-generation ADCs described throughout the volume. A framework for designing and interpreting preclinical pharmacology studies is proposed such that emerging technologies can be rigorously evaluated and molecules can be judiciously optimized.